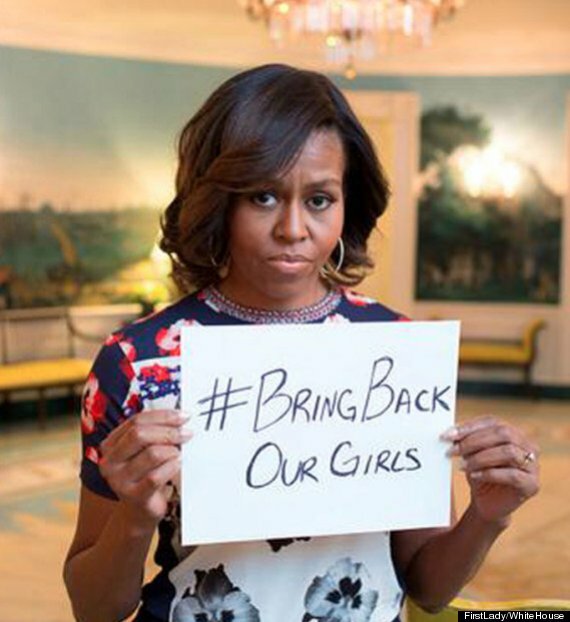 First Lady Michelle Obama backed efforts to rescue more than 270 teenage girls who had been abducted by the Boko Haram terrorist group last month, posting a photo onTwitter holding up a sign reading: “#BringBackOurGirls”. 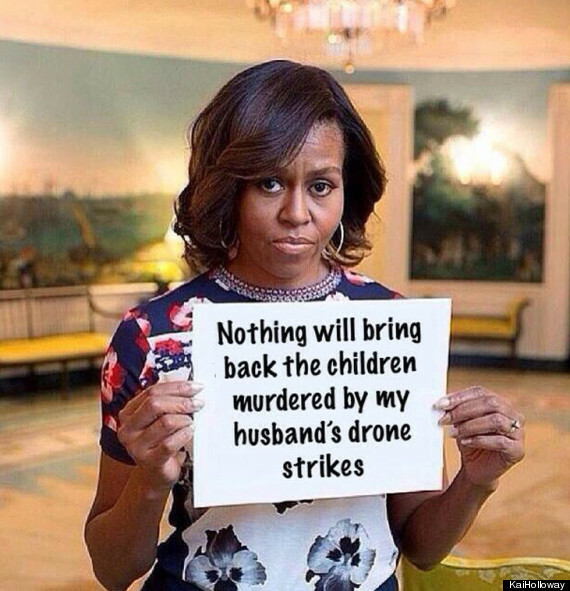 Obama’s support for the hashtag campaign supporting efforts to rescue the girls in Nigeria was wittily inverted on Twitter by user Kai Holloway to make a sobering point about US drone strikes around the world. This comes after a study in 2012 found that the CIA’s drone campaign, which has escalated under Obama, “terrorises men, women and children” in north-west Pakistan “twenty-four hours a day”. The report, by Stanford University and New York University undermined US government’s claims that drone strikes in Pakistan make America safer as it found that only very few of the intended targets are killed and instead resulted in high civilian casualties, including 176 children.